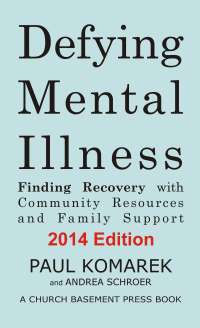 Special Needs Book Review recommends Defying Mental Illness. It is easy to understand and complete so it is suitable for people in recovery, caregivers, faith-based, church and community outreach workers who work in mental health. Readers will appreciate the chapters on finding treatment, paying for mental health care, housing, employment and disability, involuntary hospitalization, the criminal justice system, and links to allies and advocacy groups. The case studies describing a few journeys towards recovery bring hope to the readers. Read their very kind review here.